It's one of my pet peeves: Internet assclowns shouting "FAKE!" or "PHOTOSHOP!" while presented with any image that is unbelievably amazing. 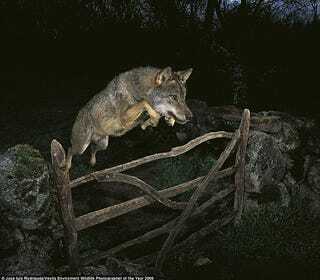 Like what is happening now with this stunning prize-winning photograph of a wolf jumping over a fence. I have been a victim of a strong campaign of defamation on the part of a group of people - I presume photographers like myself - who have hidden behind internet nicknames. I can only say that the evidence that has been provided to support the claim that it is a captive wolf are unsubstantiated and that what should be examined is the veracity of this evidence and the way it has been gathered.